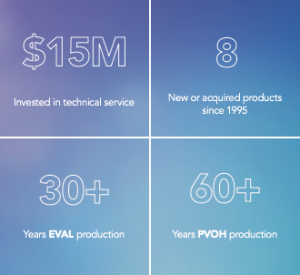 Kuraray is committed to market leadership in specialty chemicals and resins. 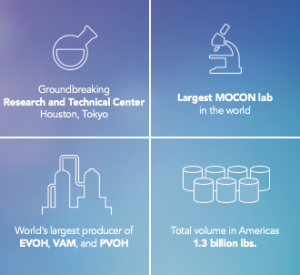 With research facilities in Germany, Japan, and the United States, we provide services to our customers that range from short-run production experiments to extensive product testing. Our Houston–based Research and Technical Center offers our customers a variety of technical services, ranging from process trials and new application testing to material evaluations and analysis. Kuraray EVAL is ISO 9001 and 14001:2004 certified for the production of ethylene vinyl alcohol copolymer. Kuraray’s elastomer plant is ISO 9001 and 14001:2004 certified.